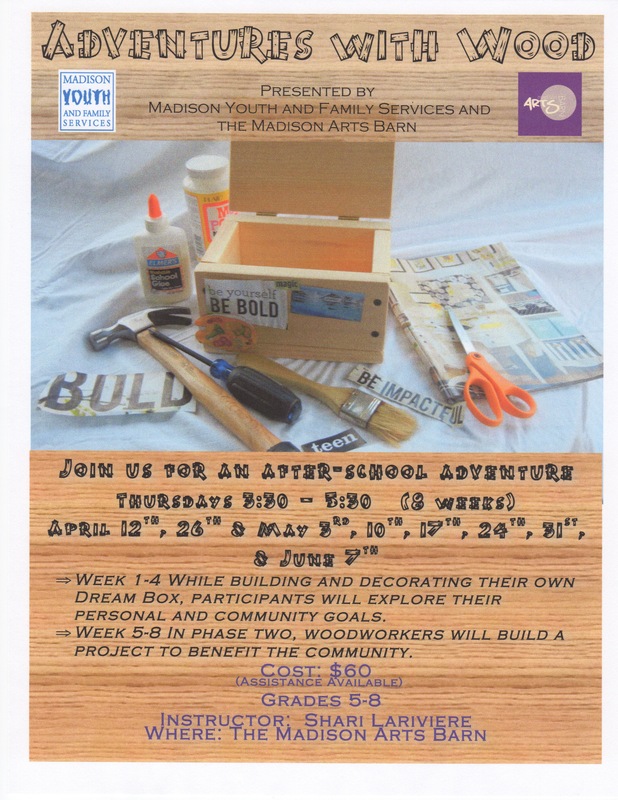 Come join us for Creative Creations weekly on Monday nights from 6:30 – 8:30 PM starting on April 2nd. Open to 6th grade students and up, including adults. We are constantly creating something exciting at the Arts Barn and would love to have your help. This includes working on decorations and sets for events like our Murder Mystery Dinner, Haunted House or 4th of July Parade Float to name a few projects. No artistic skill is needed but always appreciated. We will be selling Pizza and maybe Hot Dogs at the Mad Cafe for those who want to come for dinner. Come share your ideas and help us continue to put together amazing events! Check out our calendar to see what project we are working on now. Follow the links below to view all the winning commercials from our 1st Annual SB Commercial Contest. The winners from each school, Brown, Polson, and Hand each won $100.